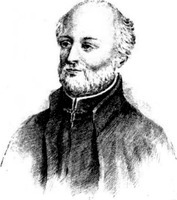 LE SUEUR, JACQUES-FRANÇOIS, priest, Jesuit, missionary; b. 22 July 1685 or 24 Aug. 1686, probably in the diocese of Coutances, France; d. 28 April 1760 in Montreal. After studying the Abenaki language for some months he was put in charge of the Saint-François-Xavier mission, near Bécancour. In 1721 Father Le Sueur received a visit from his fellow Jesuit, Father Charlevoix. He confided to the historian that his flock no longer had its original fervour and that he was often reduced to bemoaning before God the disorders caused by the spirits brought in by whites. While he ministered among the Abenakis, Le Sueur served as priest for the seigneury of Bécancour from 1718 to 1725 and from 1749 to 1753, “although he was not obliged to do so”; he also brought divine service to the parishioners of Sainte-Geneviève, in the seigneury of Batiscan, from 1727 to 1732 and from 1740 to 1741. Between times he called upon the Abenakis of the mission at Narantsouak (Norridgewock, now Old Point, Madison, Me.). Around 1734 he spent some time at the Abenaki mission of Saint-François-de-Sales (Odanak, Que. ), according to the information contained in his short treatise, “Histoire du calumet et de la dance.” In this little work the missionary told of the attempts made to introduce among the Abenakis a dance that was practised by the Foxes and nearly all the Indian tribes of the pays d’en haut. He wondered whether he could honestly allow this idolatrous worship, since this dance was accompanied by a song the words of which constituted an invocation to the guardian spirit to keep away all sorts of evils and bestow all sorts of benefits. In 1742 he was at the Jesuits’ residence in Montreal, serving as prefect of the congregation; in 1749 he held the office of missionary there. In 1756 he was again at the college in Quebec, where he held the post of confessor to the Indians and the religious of the community; it would appear that he had been living there since 1755. In July 1759, like many others, he left this besieged city to go to Montreal, where he died 28 April 1760. AN, Col., B, 47, f.1206. Charlevoix, Histoire de la N.-F. (1744), III, 111–12. JR (Thwaites). Fernand Ouellet, “Inventaire de la Saberdache de Jacques Viger,” APQ Rapport, 1955-57, 78. É.-Z. Massicotte, Sainte-Geneviève de Batiscan (Pages trifluviennes, sér. A, 18, Trois-Rivières, Qué., 1936). Honorius Provost, Les Abénakis sur la Chaudière (Saint-Joseph-de-Beauce, Qué., 1948), 13–14. Rochemonteix, Les Jésuites et la N.-F. au XVIIe siècle, III, 397–99; Les Jésuites et la N.-F. au XVIIIe siècle, I, 263. Olivier Maurault, “1742,” Cahiers des Dix, VII (1942), 171. Thomas-M. Charland, “LE SUEUR, JACQUES-FRANÇOIS,” in Dictionary of Canadian Biography, vol. 3, University of Toronto/Université Laval, 2003–, accessed April 26, 2019, http://www.biographi.ca/en/bio/le_sueur_jacques_francois_3E.html.